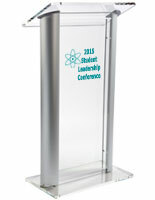 These custom printed acrylic podiums feature a clear and silver finish that looks great in any auditorium, school or conference hall. 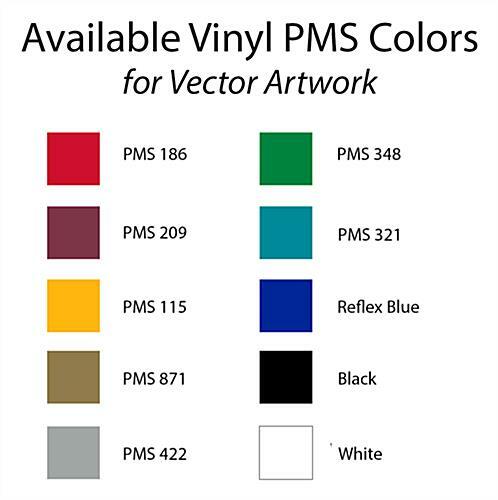 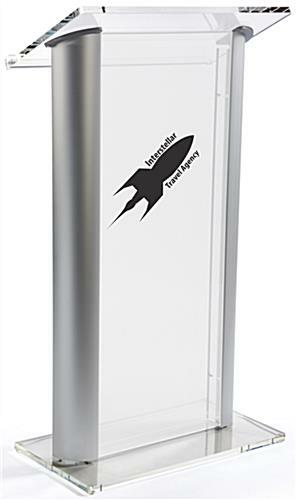 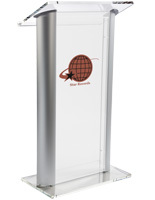 The lecterns come with 1-color vinyl printing on the front panel that can be used to display a company logo or branding information. 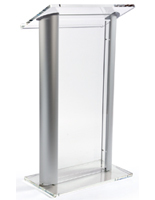 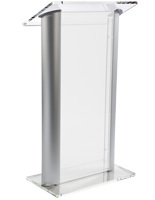 The acrylic podiums feature silver aluminum sides that add to their modern appearance. 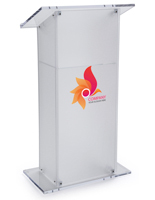 In addition, the stands' front panel features is frosted to contrast the 1-color imprinted logo. 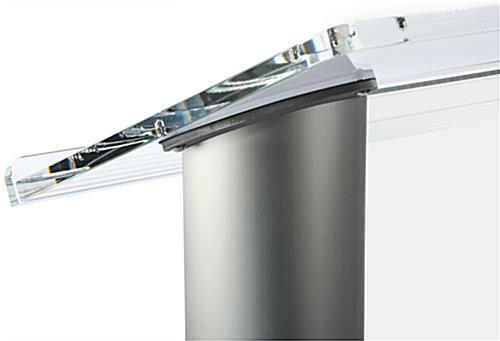 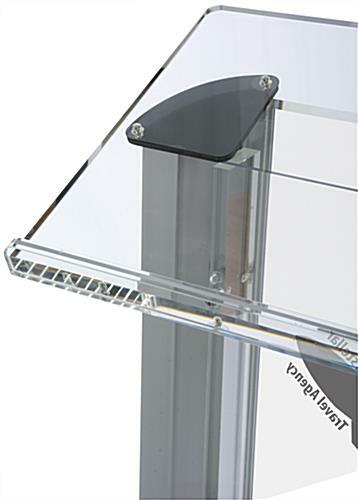 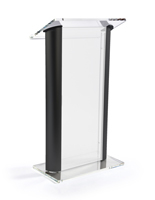 The podiums' clear reading surface is angled and measures 26.6" x 15". 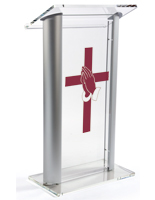 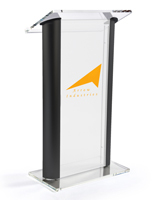 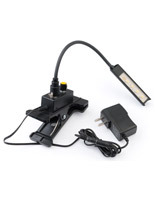 No assembly is required with these lecterns because they ship entirely set up.